We supply and service all makes and models. 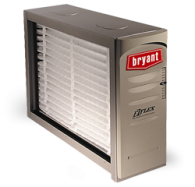 Bryant’s ultra-reliable Perfect Air Purifier works to capture and kill dangerous bacteria, viruses and mold, safeguarding the air quality of your entire home. Indoor air is re-purified, not just filtered, as often as 8 times each hour. 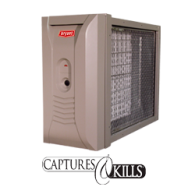 The Preferred EZ Flex Cabinet Air Filter protects and improves heating and cooling system performance with a MERV 10 efficiency rating that keeps air flowing cleanly and efficiently. It’s also designed to make replacement a snap. 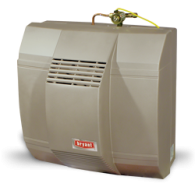 The Preferred Fan Humidifier directs just the right amount of moisture vapor into furnace ducts for greater whole-house comfort and less static electricity. Quiet, energy-efficient operation and two capacity models make it right at home, anywhere.